Doing that gives me the error. I heard that Distribution provisioning profiles created in the Developer portal automatically has that enabled. Is that wrong? How do I create a dist profile with that key inside? Nevermind...apparently, I was pointing it to the wrong provisioning profile...ignore this question. 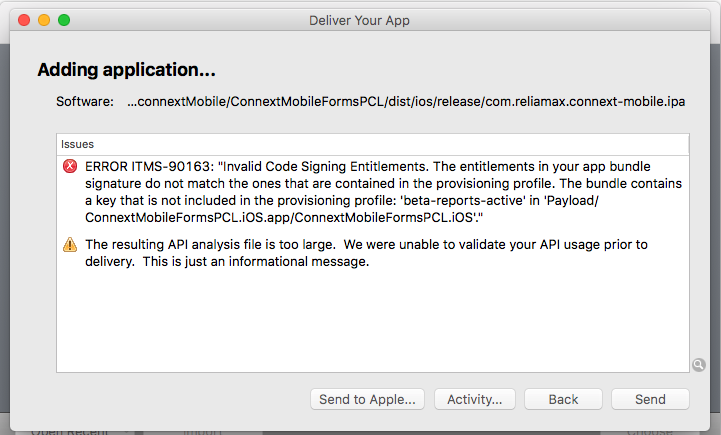 More context, I can submit via Application Loader without that key; however, it will fail for iTunes Connect. I reached out to customer support and they suggested I added the key, which then caused the error, so I'm not sure what's wrong.